Love Ya Kun’s signature Kaya Toast as much as we do? 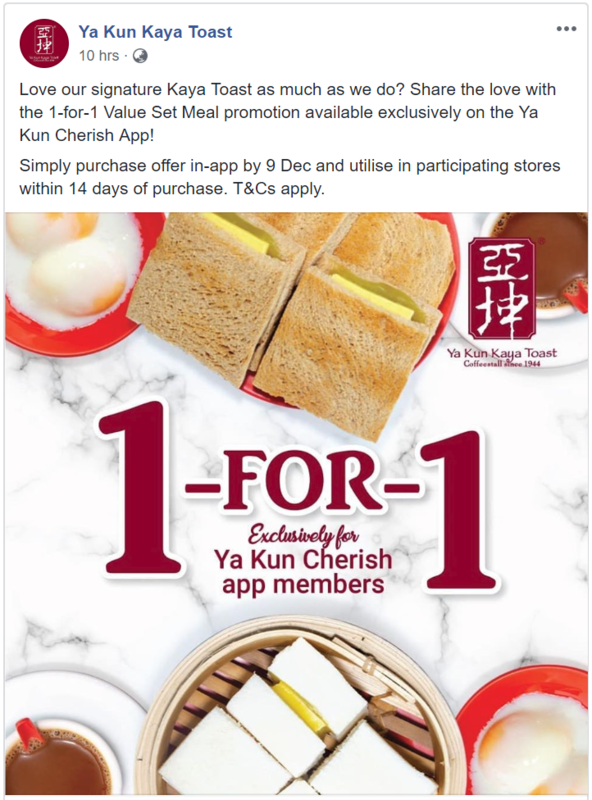 Enjoy 1-for-1 Value Set Meal promotion available exclusively on the Ya Kun Cherish App from now till 9 December 2018. Simply purchase offer in-app by 9 Dec and utilise in participating stores within 14 days of purchase. T&Cs apply. 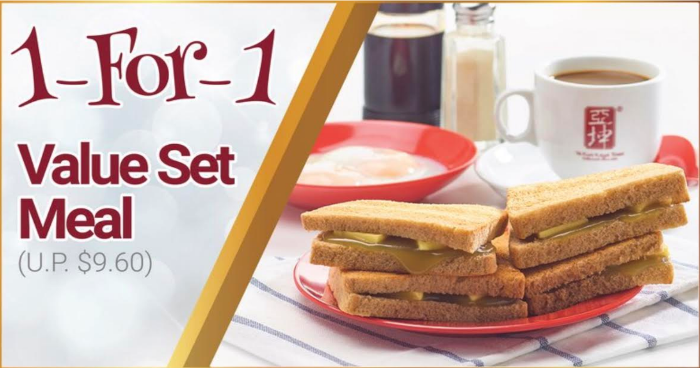 Promotion valid till 9 December 2018 for the first 2000 customers. 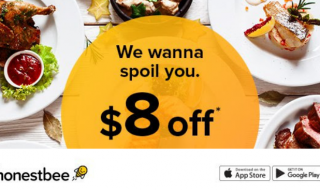 Valid for one-time redemption within 14 days from date of purchase. Valid for redemption at participating Ya Kun outlets (refer to point 4). 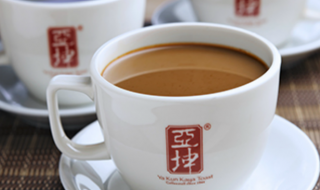 Change of drink to other coffee or tea variants is allowed with a top-up of the price difference. Change of hot Coffee/Tea (reg) to a large size or iced Coffee/Tea is not allowed. Present the Saved Offer for redemption at point of purchase. Redeemed or expired rewards cannot be revalidated. 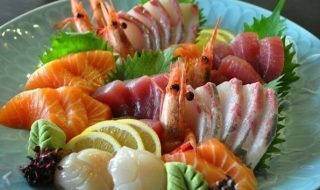 Ya Kun Management has the right to withdraw or replace the offer without any prior notice. 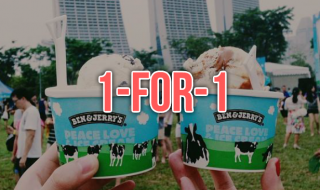 Enjoy 1-for-1 scoops at Ben & Jerry’s from 9 – 14 Feb. Available at all Scoop Shops.